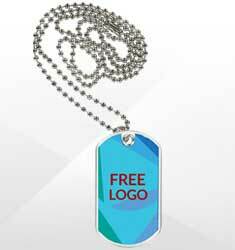 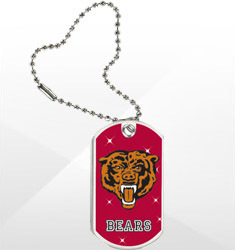 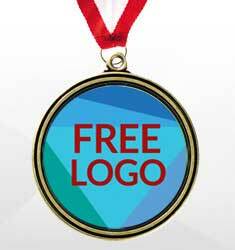 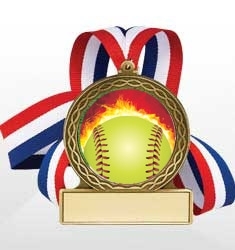 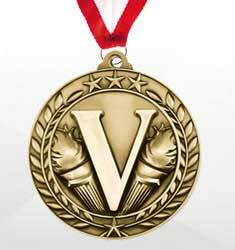 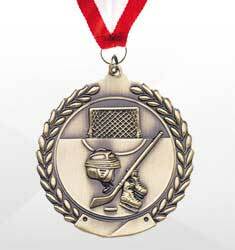 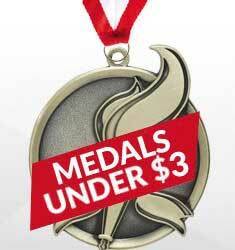 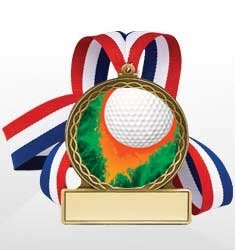 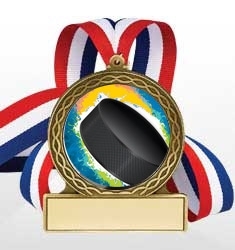 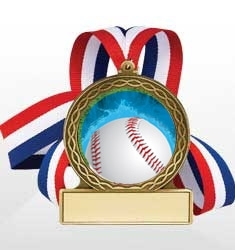 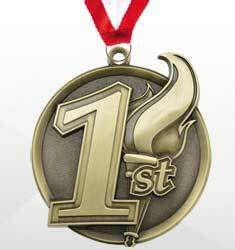 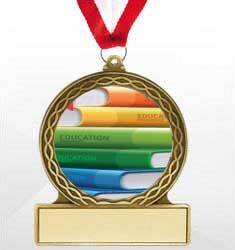 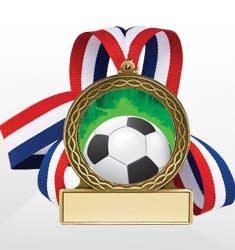 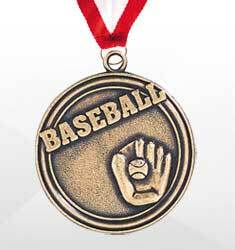 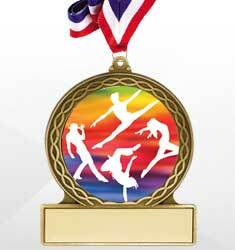 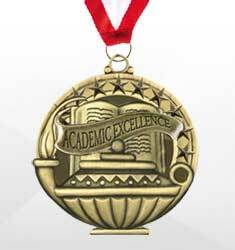 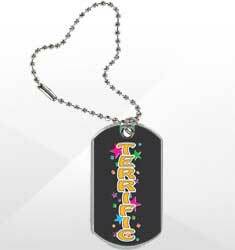 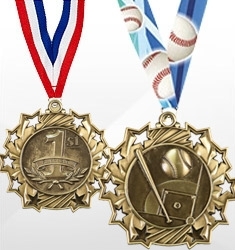 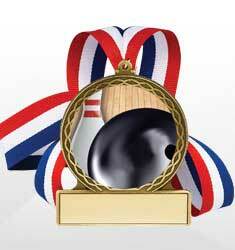 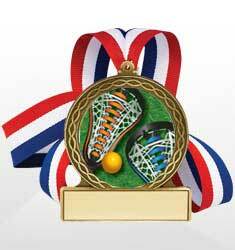 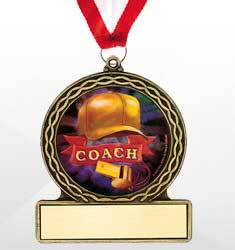 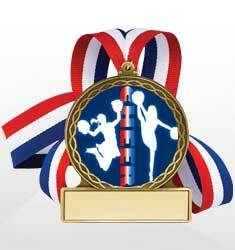 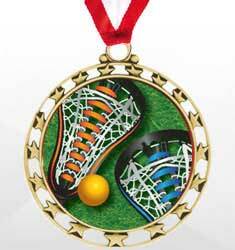 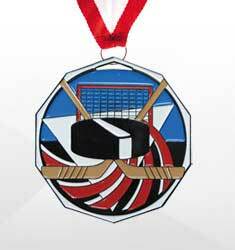 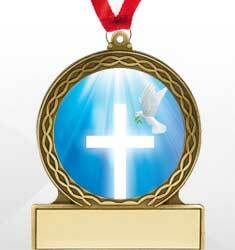 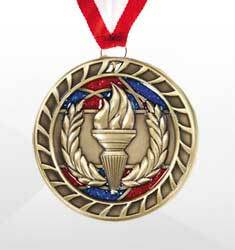 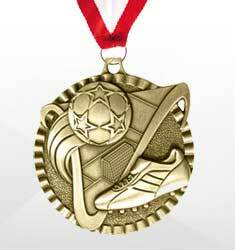 Dinn Trophy offers custom medals for all occasions. 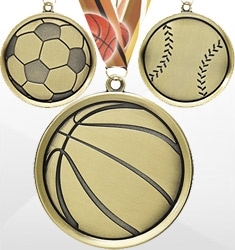 Be it for a competition, commemoration, competition, achievement, performance, recognition or any special event for your school, team, league, company or organization. 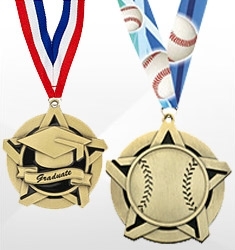 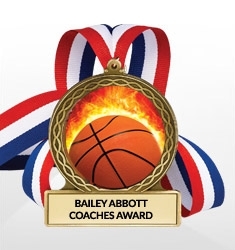 Beautifully finished in antique gold, silver, or bronze, our custom medals come in varying weights, sizes, and casts or choose from our large selection of emblems. 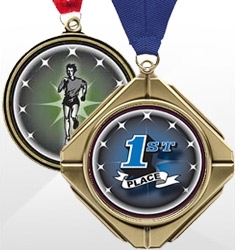 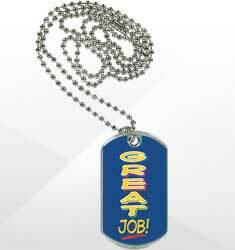 Personalized lettering is available, too, and each medal has an accompanying free 30 inch red, white, and blue neck ribbon.